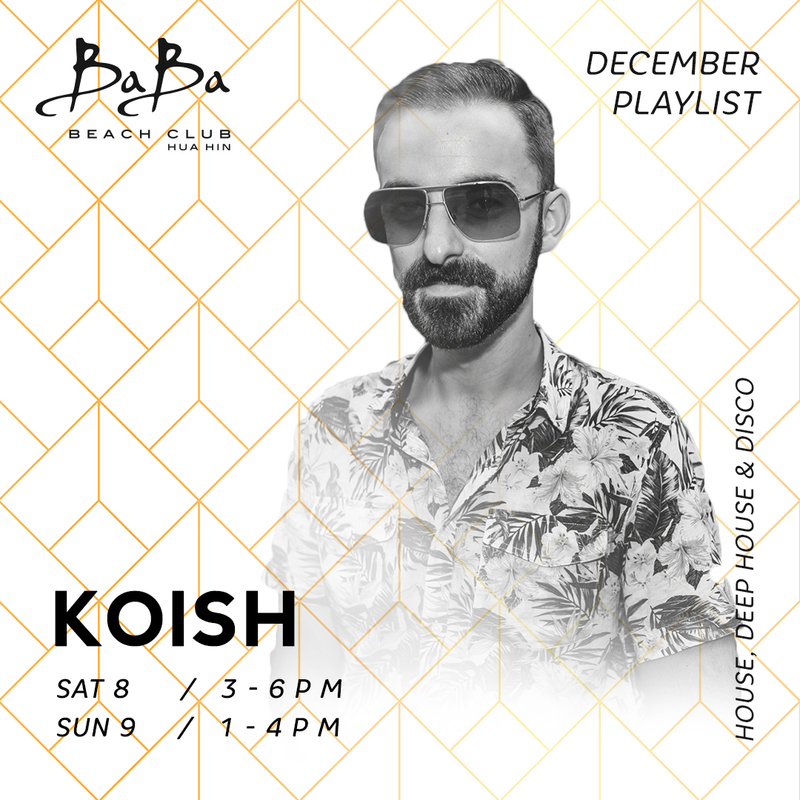 Enjoy a weekend escape with us at Baba Beach Club Hua Hin as the talented Dj KOISH plays house, deep house and disco beats perfect for a beach getaway. So make sure to join us for a day with great music, beach vibes, delicious food, cool cocktails, and more. Constantly exploring new directions and pushing the boundaries of conventional electronic music, always staying true to his principles: playing music and bringing people together. Having helped establish the underground music scene in Bangkok, Koish has been seen perform at numerous Kolour events, and other locally famed venues such as Glow and Beam. Both as an active member of the local dj collective UNST(Collect/Save), hosting production workshops and other various pop-up events throughout Thailand, Koish has quickly become a fixture in Bangkok thanks to his talents and providing a unique atmosphere to get lost in the music.